Raised in Nelson, Gus Roxburgh spent time at Otago University before heading off for an OE, then returned to complete a Master’s degree in Natural Resource Management. Choosing Wanaka as his base, Roxburgh worked in resource management for a while, before becoming a freelance writer, and then branching out into television. 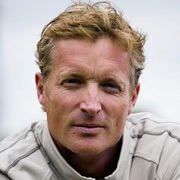 At first Roxburgh worked in the camera department — he was one of the camera operators on 1998 TV movie Surviving the Southern Traverse, about Queenstown’s famous winter multisport endurance race. Taking advantage of his location to spend a decade of winters on and above the slopes working as a heli-ski guide, Roxburgh spread his wings and moved into directing, producing and presenting. Over the following two decades, Roxburgh has carved an eclectic career out of his twin passions — the great outdoors and filmmaking. His work has taken him from Antarctica to Alaska, to the Himalayas (2007 documentary Dying for Everest), and involved a broad range of travel, adventure, and science shows. His work has played at major festivals like Sundance and Deauville, and he has been nominated for an Emmy award for Best Documentary. As a presenter Roxburgh hosted a number of popular documentary series for Television New Zealand, including Human Potential (2006) and Brain Power (2008). Human Potential was a six episode series exploring the capabilities of the human body, using 3D animation and interviews with international scientists and athletes; four-parter Brain Power took a representative group of Kiwi adults and worked with them to improve aspects of their brain performance. Topics included gender differences within the brain, mind control and how to boost one’s memory. Roxburgh also presented NHNZ’s Wicked Weather series, which was nominated for Best Documentary/Factual Series at the 2006 NZ Screen Awards. The show would ultimately lead to his involvement in NHNZ/TVNZ co-production Wild about New Zealand. “When I heard about Wild About New Zealand I contacted them to express my interest in working on the series,” Roxburgh told The Nelson Mail in 2013. His initial thoughts were that he might be a producer, but after being offered the presenting role he grabbed it (he also ended up writing the tie-in book). He described the show as a dream gig. “It was great to work with the NHNZ team again. I grew up watching their Wild South documentaries and they were some of the shows, along with other classics like Jacques Cousteau's shows, that inspired me to get into television in the first place." Back in 2005 Roxburgh set out to cross the United States with some friends, powered by renewable fuels. The result was TV series Coolfuel Roadtrip, the first of many stateside projects he has helped produce. Crips and Bloods: Made in America looked at decades of gang violence among young African Americans growing up in South Los Angeles. It was nominated for a Best Documentary Emmy in 2010. The feature-length documentary sold to over 25 countries. He was also part of the producing team on The Drew: No Excuse, Just Produce, a 2015 documentary about a Los Angeles basketball league, where gang members work out their differences on court instead of in it. Based these days in Santa Monica, California, Roxburgh works as an executive producer for Red Bull Media House, a sports/action/outdoor pursuits channel that makes shows on air-races, car rallies, surfing, skiing, and any kind of extreme sport one might imagine.